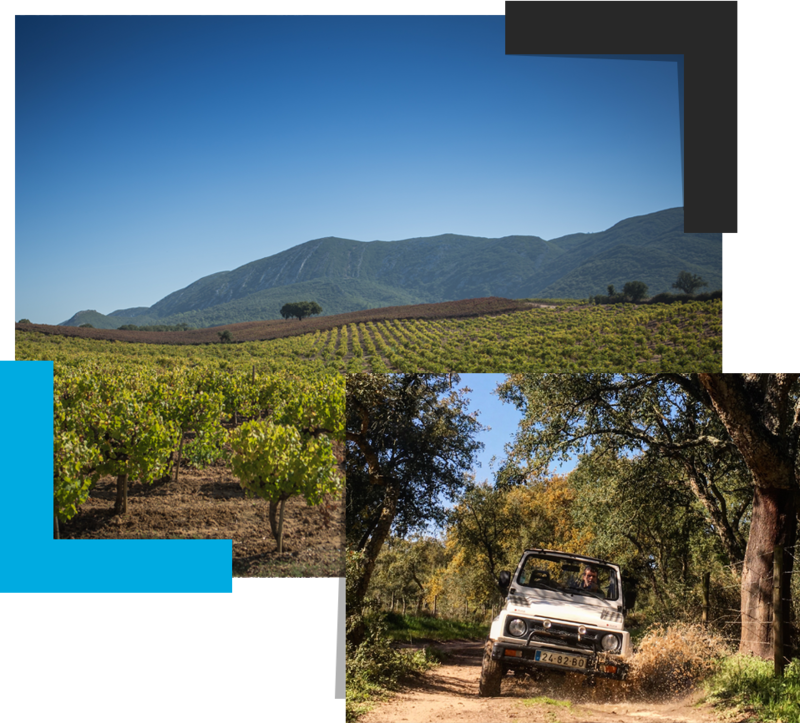 Look Around Tours invites you to be driven in our classic jeep cabrio 4x4 in the most secret and inhospitable ways inside Arrábida Natural Park, and discover with us the Pre-historic ruins,the deep Mediterranean forest of Arrábida and enjoy the atmosphere of the most pristine beaches. 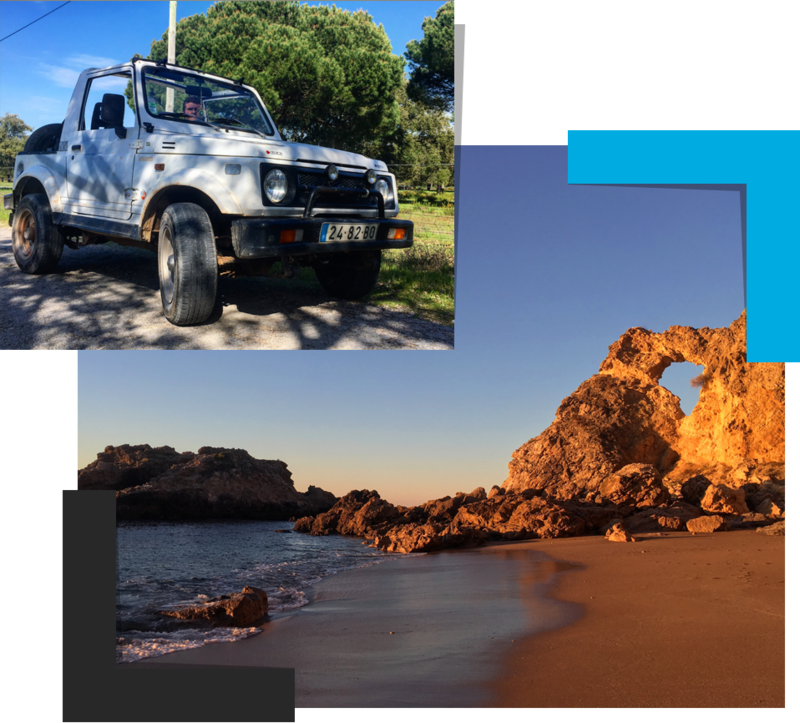 This is a personalized wild adventure for a small group - ( máx- 3 pax ), always accompanied by experienced drivers and graduated guides. » Cross the old paths of south Arrábida, passing by the highest limestone coastal cliff in Europe, in the unique and astonishing form of a stone wave, Serra do Risco. This Safari allows the travellers to feel the harmonious spirit and the beauty of Espichel Cape, a place with a very strong landscape character. On this ride we explore the most remote paths that guide us to the most remarkable views: a sublime example of a "land´s end" landscape, where sky and sea meet, in an infinitive horizon, conductive to contemplation and meditation. The highlight of this tour: footprints dinosaurs located on a ledge of the Jurassic cliffs in the second most western cape of Europe. The tracks left by saurops and theropods, have 150 million years ago. The ride ends in one of the most remote beaches located in the south part of Espichel cape, Hell´s beach, where we do a brake for a snack prepared by our team. » Time for a short Hiking tour to Hell´s beach, where we have a moment of contemplation and a delicious snack prepared by our team.